Join us as we work through the creation of an English Paper Pieced Grandmother's Flower Garden quilt - or whatever kind of English Paper Piecing project you would like to do. Each month we will meet to discuss the process from starting to finishing your top. 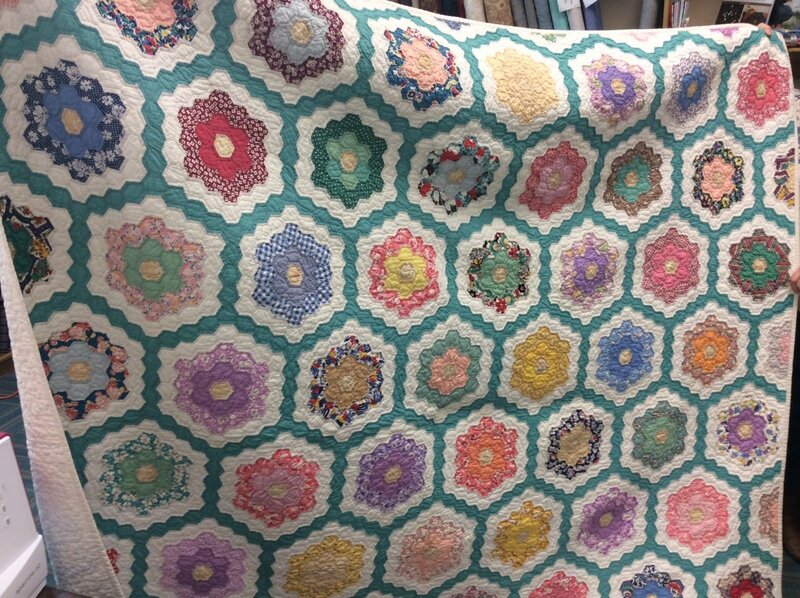 Even if you don't want to make this quilt, you can still join us for some paper piecing fun!